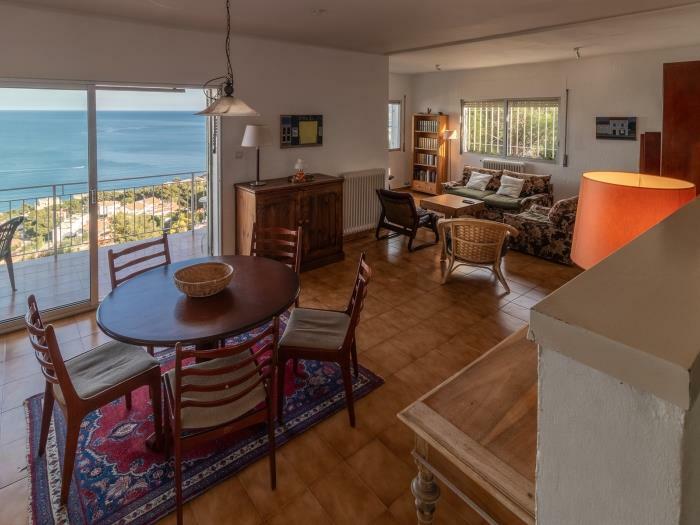 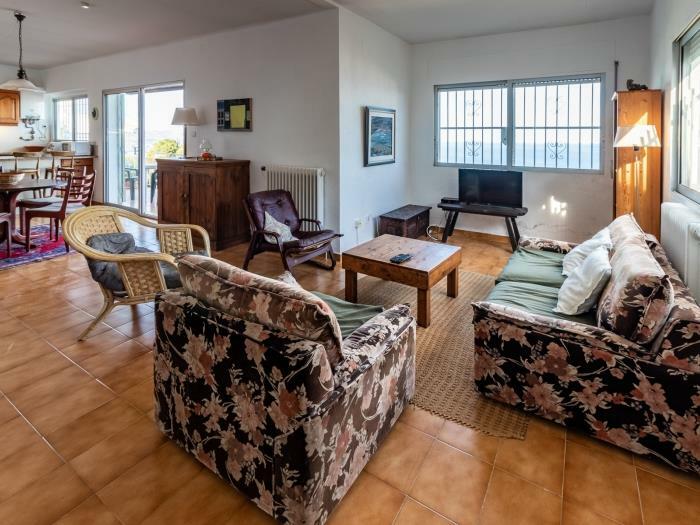 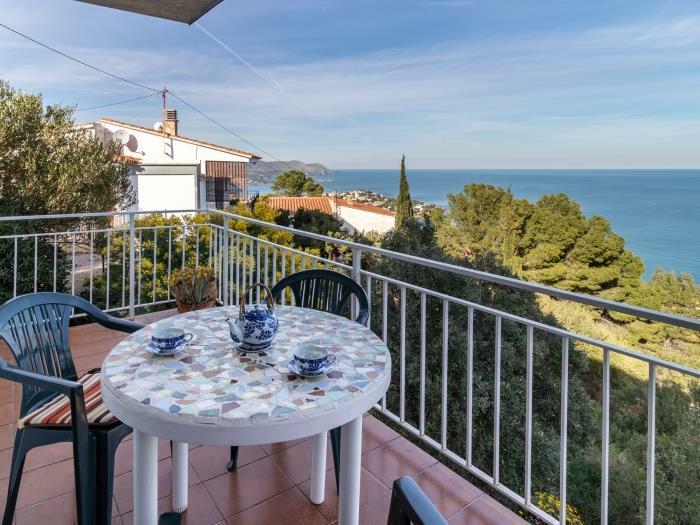 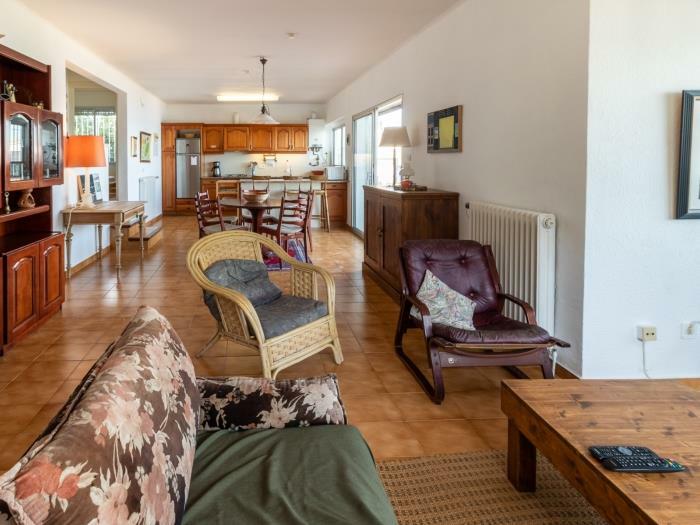 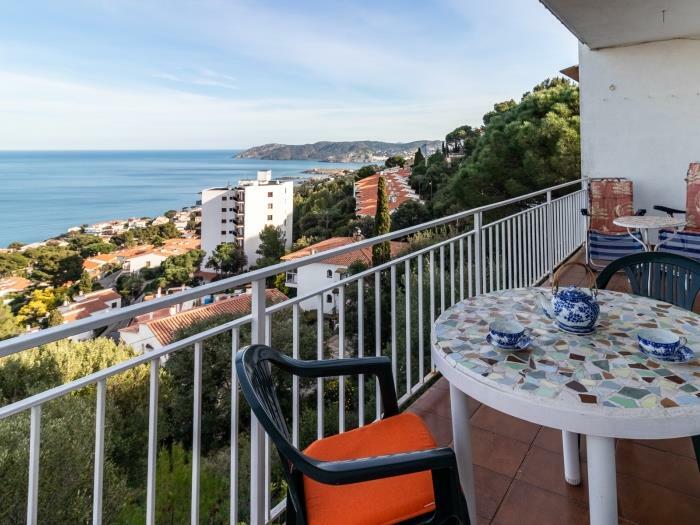 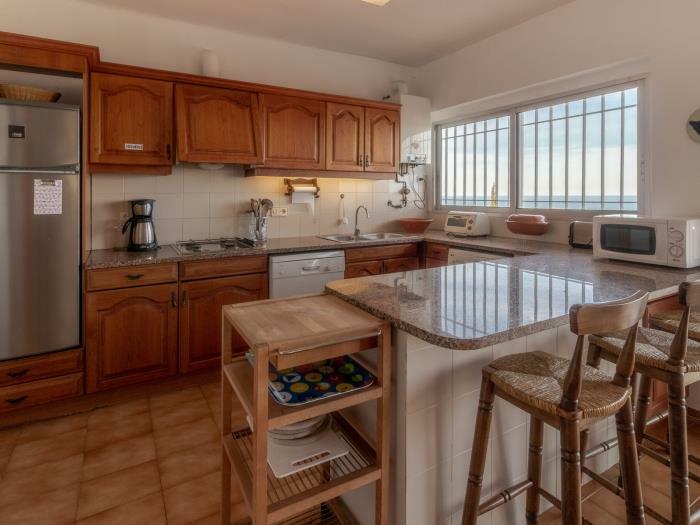 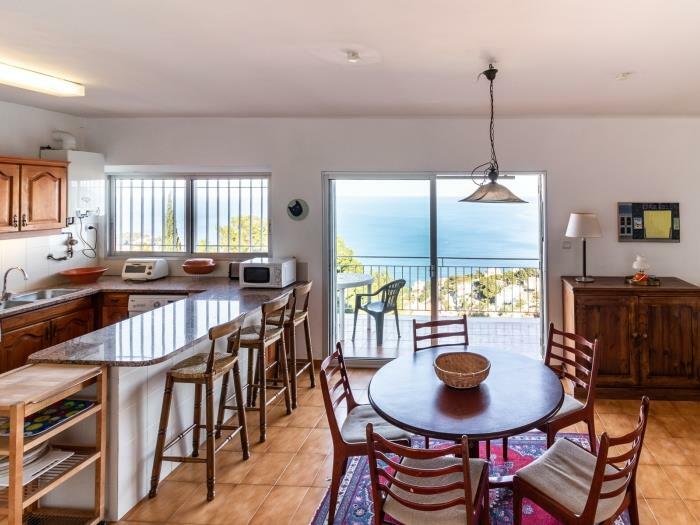 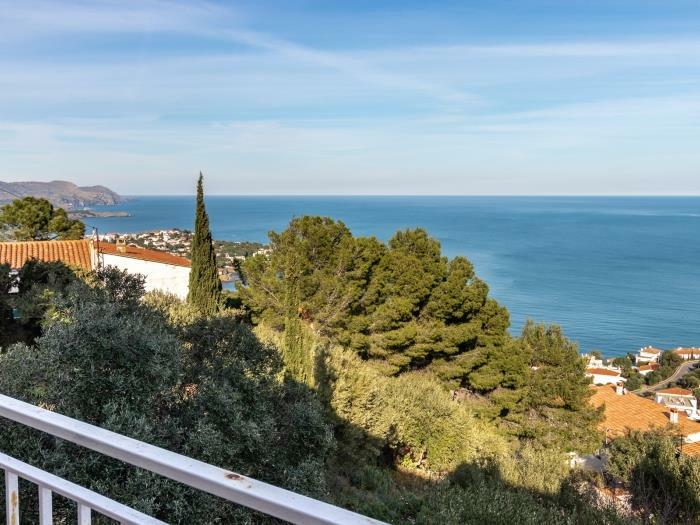 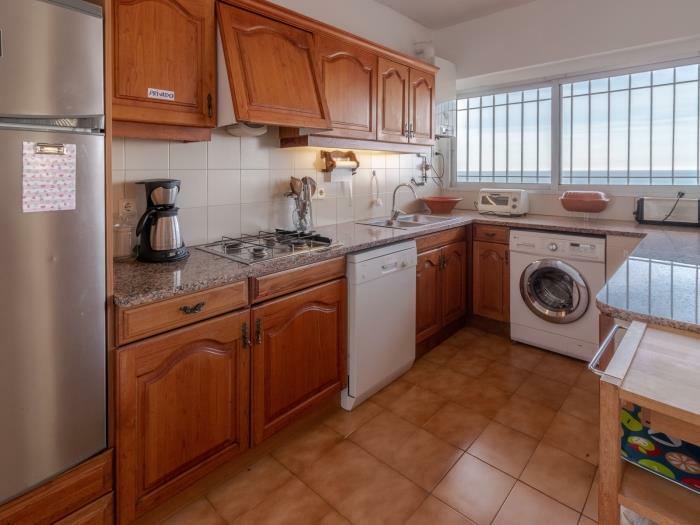 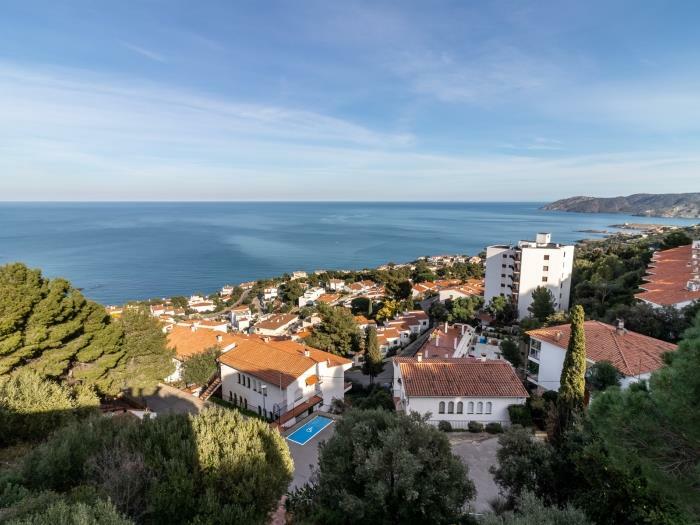 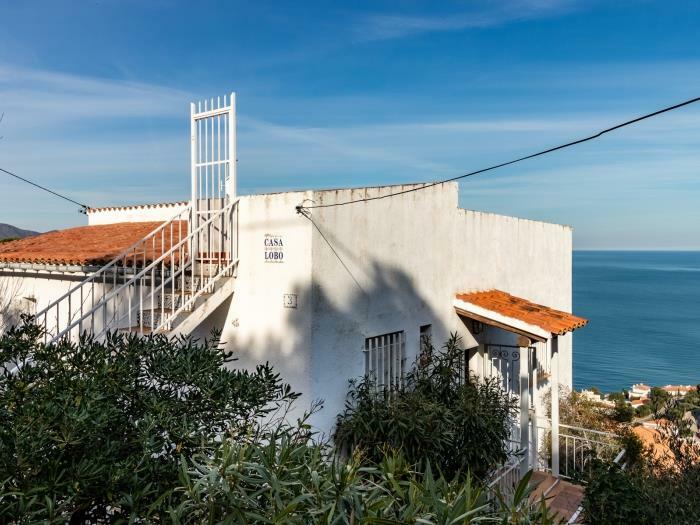 Beautiful apartment, well-appointed and well-furnished, on the first floor of a house with two apartments for 4 persons, 2 terraces with magnificent panoramic views on the sea, the coast and the mountains. 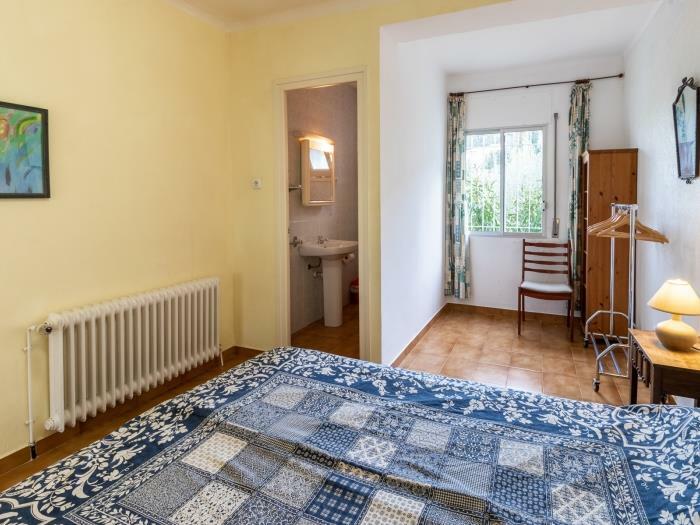 Small garden. 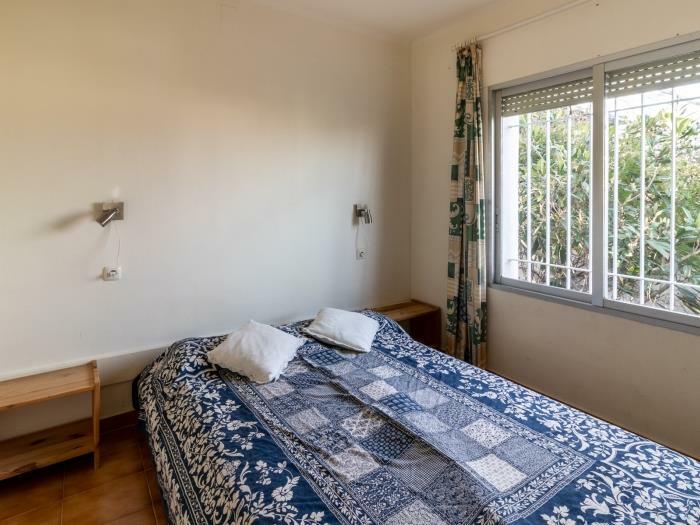 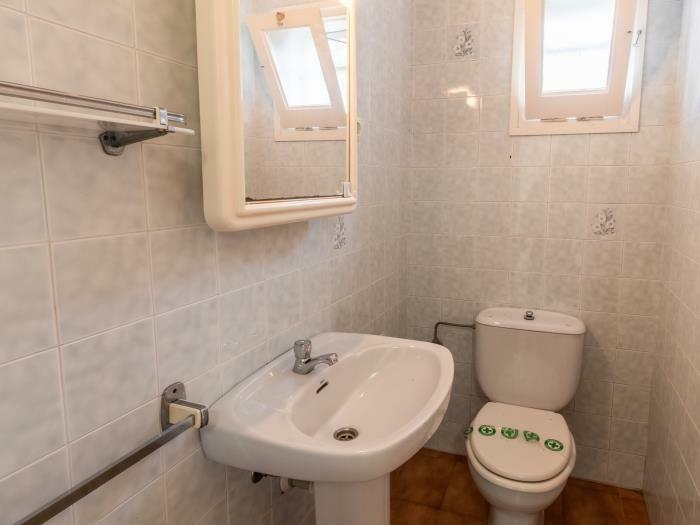 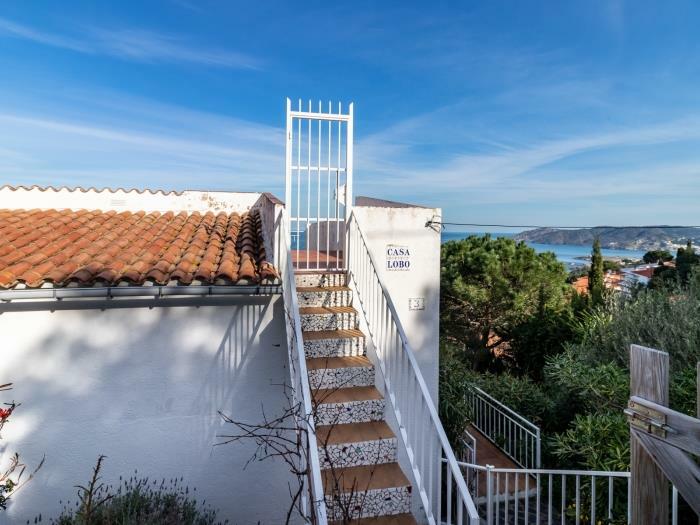 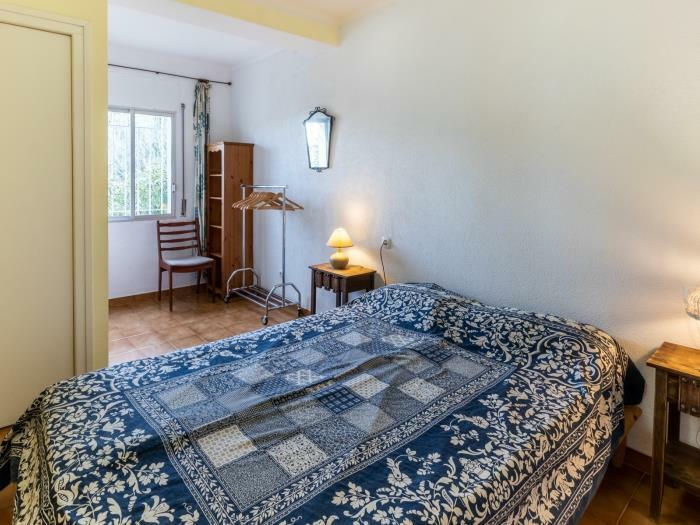 Located on a quiet area, a uns 1500 m from the beach, about 1800 m from the shops, the old city and to the harbour it is a little bit more. 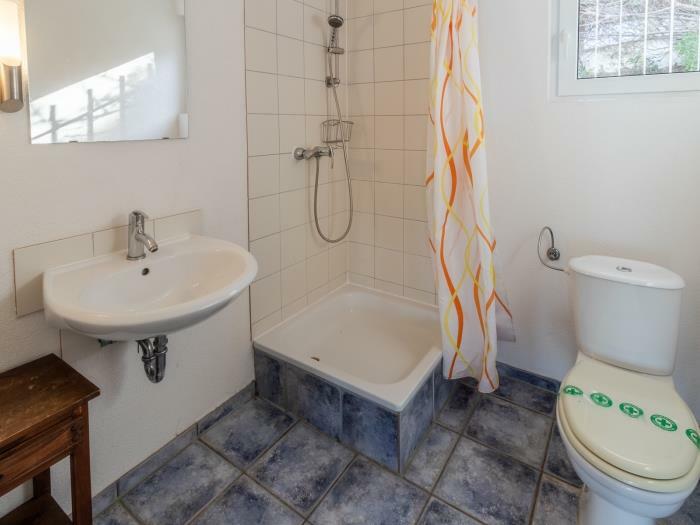 It consists in 2 double bedrooms, living/dining-room, opened kitchen, bathroom with shower and separate WC.